MoJo Promotions produce a great range of personalised blocked products, all made to be custom printed with your logo. Blocked Products provide a splendid way to show off your information. The branding options found with personalised blocked products is guaranteed to ensure your promotional ideas are met. 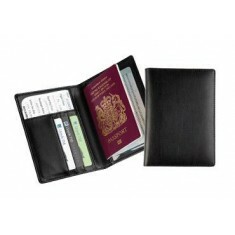 Our variety includes - Balmoral Passport Holders to mention but a few. All of our items can be customised to suit your goals, please contact us for more information.